We’ve had our de-stress out in Viñales: we now launch back into the sensory invasion that is Havana once again. Accompanying a pulsing vibe that is nothing short of invasive, there is the odd matter of not having internet; the elephant in the room. Perhaps this is an essential ingredient to making the ‘buzz’ quite what it is here, perhaps it’s a view into a sort of social Orwellian future we don’t see yet. What is certain is that it definitely creates an environment that is subtly jarring to us, and I suspect any net-saturated person. One thing for sure is that the people are smooth as butter here in Havana. Long distant are the gaudy screeches of street sellers to hock their wares, as are shy retiring introductions; yes Havana has suave. The mind does wonder though, why is this charm and social sophistication so abundant? I can’t help but feel that face to face is really the only way to do it here and I guess, you just get good at it. The confidence is also another characteristic we see in spades, is this related to doing everything in a very personal matter also? We all know of the phenomenon of someone that is one personality behind the anonymity of a keyboard, and another in person, what if you had no keyboard crutch, would you be the bold, witty social juggernaut of your avatar in real life? And it doesn’t stop with the locals; tourists are thrown into the old/new world too. With just a week of not having internet we of course adopted many of the principles that we applaud so much yet so seldom embrace. We talk more, we think more, we write more, we take more photographs and we invariably keep the mental clutter far more in order. The instinctive reach to check rugby scores, news or email the instant our minds wrestle free of impetuous distraction is not an option in Havana, we’re in a world we laud yet never allow ourselves to visit. So once you push through that foggy panic of a moments peace and fail in your usual grab to fill it with another flavour of nothing, you find yourself in new territory. 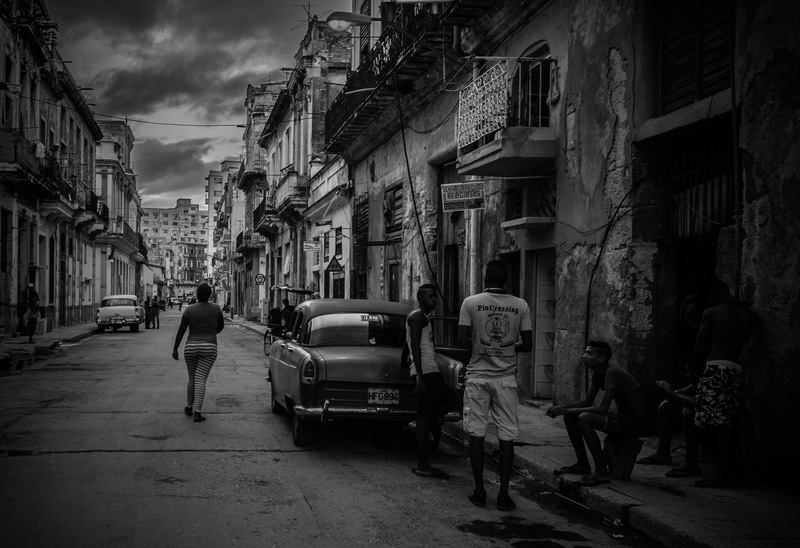 So the mind drifts into thought, as it is want to do in Cuba and I can’t help a journey off into what slice of our future this part of Cuba might resemble. Entertain the rambling for just a moment will you, I’ve had a week of clear mind… Orwell wrote 1984 in a time it was impossible to foresee some of the concepts he so crazily penned. I don’t suggest that we’ll all jump into some sort of ‘no internet’ cult, but how many of us from time to time would just like the world to piss off? I can’t possibly be the only one who at times gets some degree of stress or anxiety with a phone that won’t stop ringing or an email inbox that just will not get smaller: can I? Maybe there is some form of social evolution in our future where we more acutely rationalise in-the-same-room personal interaction. Maybe actual downtime in contactability becomes a more real thing than a pinko post-modern hippie ideal. Who really knows? What this little iPad typing, about to upload it to the blog hypocrite can say is that the lack of internet is not only a unique feature of Cuba, it’s nothing short of a mental reset button. It’s one thing to get righteous and proclaim the evils and social degradation in a digital age, it’s another to not have the option to connect even if you wanted to. And for this, Cuba, we thank you.